Mosswort Bridge, sorcery or instant speed? Mosswort Bridge seems too slow and clunky for what you want to do anyway. Good call in removing it. xaarvaxus on Muldrotha- Help Needed! 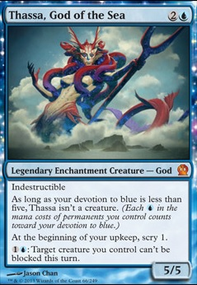 Mystic Remora is probably better than Rhystic Study for this commander as you can pretty much ignore the cumulative upkeep and keep replaying it from your graveyard. 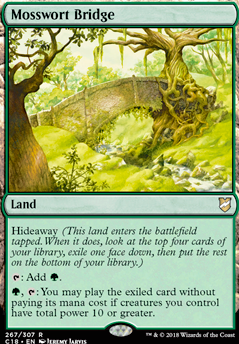 Expedition Map will let you color correct, ramp, or get your Cradle from your deck, turn after turn. 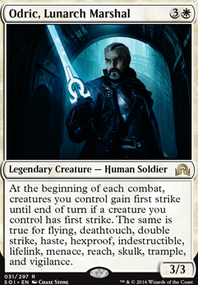 Cabal Coffers / Urborg, Tomb of Yawgmoth and Dark Depths / Thespian's Stage are land combos that will come together pretty well with Map/Mul. Wayfarer's Bauble and Burnished Hart are repeatable land fetches though only for basics. You may want to run one but with minimal basics, probably not both. 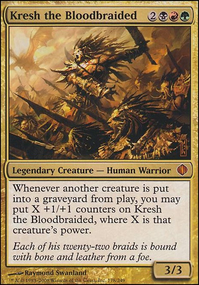 Being able to play fetches repeatedly out of your graveyard makes Titania, Protector of Argoth an army maker. Since you have both Strip Mine and Wasteland why not make a ton of 5/5's while you play LD? Mostly a Pauper all-star, Crypt Rats might work pretty well here if you add the Coffers/Tomb land combo. Fauna Shaman can load your graveyard with creatures to recur. 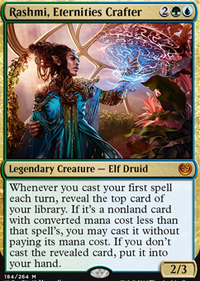 Snapcaster Mage 's value will probably go down once you embrace how many permanents you really want in this deck and remove instants and sorceries to make space. drcatherwood I have it as my replacement fetch for uvenwald hydra while i wait for a few of my cards to get mailed in. Mosswort Bridge and Spinerock Knoll are going in, not sure what the second land to come out will be.